Anointing the body or head with oil was a common practice with the Jews, as with other Oriental nations. ( Ruth 3:3 ; Micah 6:15 ) Anointing the head with oil or ointment seems also to have been a mark of respect sometimes paid by a host to his guests. Luke 7:46 and Psalms 23:5. It was a rite of inauguration into each of the three typical offices of the Jewish commonwealth. 2.Priests, at the first institution of the Levitical priesthood, were all anointed to their offices, ( Exodus 40:15 ; Numbers 3:3 ) but afterwards anointing seems to have been specially reserved for the high priest, ( Exodus 29:29 ; Leviticus 16:32 ) so that "the priest that is anointed," ( Leviticus 4:3 ) is generally thought to mean the high priest. 3. Kings. Anointing was the principal and divinely-appointed ceremony in the inauguration of the Jewish Kings. ( 1 Samuel 9:16 ; 10:1 ; 1 Kings 1:34 1 Kings 1:39 ) The rite was sometimes performed more than once. David was thrice anointed. 5.Ecclesiastical . Anointing with oil is prescribed by St. James to be used for the recovery of the sick. ( James 5:14 ) Analogous to this is the anointing with oil practiced by the twelve disciples. ( Mark 6:13 ) . At Enlightened Christian Gathering, a church founded by the multimillionaire Prophet Shepherd Bushiri, you get to find different anointed materials that helps every individual that believes and uses it. There are two different anointing oils that are found there. 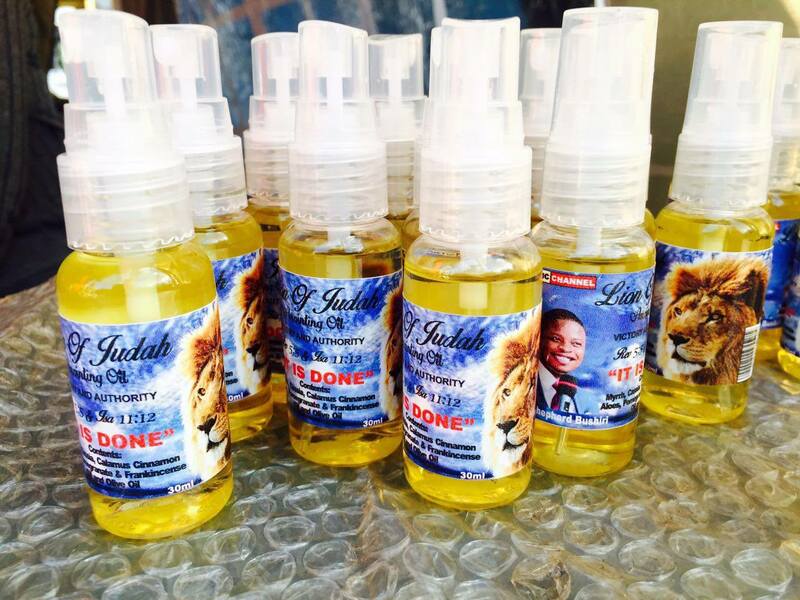 There's Oil of Favour and the Lion of Judah oil. These oils acts as a conduit, people getting breakthroughs, healed and delivered, thanks to the power of the Holy Spirit carried within the oils that the man of God,popularly known as Major 1, Prophet Shepherd Bushiri prays for. Most believers have, and still are testifying on the goodness of the Lord after using these anointing oils. Some apply it on the sick, who get healed immediately after rubbing it on the body. Some spray it in their homes to keep away evil spirits.A certain young man who had his liver removed, applied the Lion of Judah oil on the wound where he was operated on. Within a few days, a new liver appeared. A certain unemployed lady applied the oil and she got a miracle job that she never applied for. Several dead people, mostly children, came back to life after they were applied the oil. 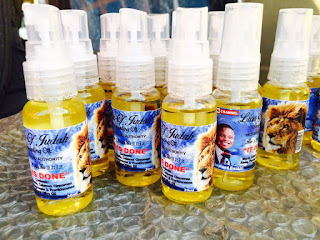 Two young toddlers, one in August 2015 and another one in April 2016 both died at church but were resurrected after being anointed by the Lion of Judah oil.There are so many thousands of other testimonies that came due to the use of the anointing oil from the church. Clearly this shows that the anointing oil has so many uses and purposes that includes deliverance, healing and instant breakthroughs amongst the users. Every household needs to have it. You can never take Major 1 to your home or office but with his anointed materials including the Oil of favour and the Lion of Judah oil,you will know that you are safe and protected because the Power of the Holy Ghost is in there! POWER!!! He's a God of wonders indeed. The miracles I'm experiencing are too much! I am really thankful to https://goo.gl/18tpwM for giving me a chance to connect with my God.